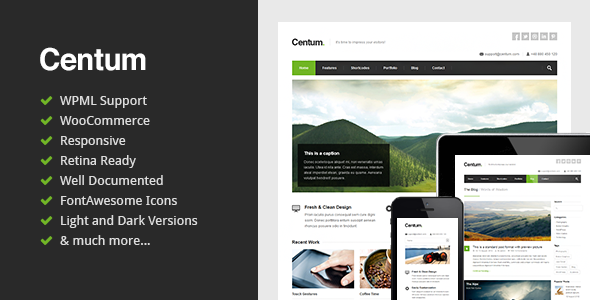 Centum is a premium responsive WordPress theme created for corporate and portfolio websites. It features a very clean and minimal design that is perfect for showcasing your work. It's easy to customize with awesome features like Revolution Slider, unbranded OptionsTree panel for settings and new amazing WordPress Customizer.